I regret to inform you, "Our Beloved Tom Wall" passed away yesterday due to his courageous struggle with melanoma. When his doctor's told him he had 2-7 months to live, they suggested he set a goal for himself. His was to make it to his Basic School Reunion to see all of you! Well, that was 8 months out and I'd say that was a pretty great goal which he made with great strength and courage, never once complaining of the pain I'm sure he was enduring. Thank you so much for everything you meant to Tom. He's a warrior and a true Marine through and through and he is my hero! Services will be held at Fairhaven Memorial Park & Mortuary in Santa Ana, CA. Viewing services on Wednesday, June 28th from 4-8 p.m. and Chapel services on Thursday, June 29th at 10:00 a.m. Full military and "mock burial" service with Drum & Bugle Corps, cadence music, horse drawn hearse, etc. is what Tom planned down to every detail for himself. Tom once said, "It should be quite spectacular, I wish I were going to be there to see it". (Somehow, I think he will.) Tom will ultimately be buried at Arlington Cemetery with full military honors. Date and time are pending. Attached are some reunion photos (I hope they come through) and an e-mail from his 20 years with the Irvine Chamber and information of where to send donations in lieu of flowers, per Tom's request. Andy later wrote that "the Arlington burial will take place on the morning of 24 July (sooner than I had imagined). I will pass that on as soon as I get it. Barring a serious emergency, I'll be there, and I expect others from the area as well." Like all of you the Irvine Chamber of Commerce has lost a friend, staunch supporter and an outstanding community leader that lead by example. While mourning our loss we celebrate his life and his many contributions to individuals, the community and the country. He was and will remain a shinning example of a true leader. Earlier this year Tom established a Lt. Col. Thomas U. Wall Scholarship Fund at the Irvine Chamber of Commerce. 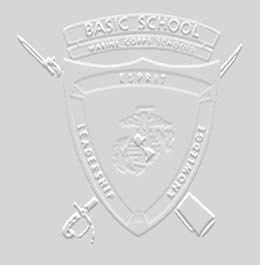 The scholarship will be awarded to an applicant who is a U.S. resident, U. S. Military veteran, child or grandchild of a U.S. military veteran and is pursuing a career path in Science, Business or Law Enforcement at Irvine Valley College. The Irvine Chamber of Commerce under Tom's direction set up the Irvine Chamber Education Foundation to handle scholarships under the IRS code 501 C3. This makes all contributions fully tax deductible, as there are no goods or services provided in exchange for contributions. Under this umbrella Tom's scholarship has his criteria and a separate bank account. Tom requested that upon his passing in lieu of flowers he would appreciate memorial contributions made to his scholarship fund. Checks should be made out to the "Lt. Col. Thomas U. Wall Scholarship Fund" or you can use on a credit card. Should you have any questions you may call me at the Irvine Chamber.